After IMM Cologne we gone to AMBIENTE fair. We was exhibitors for the second time at those event. 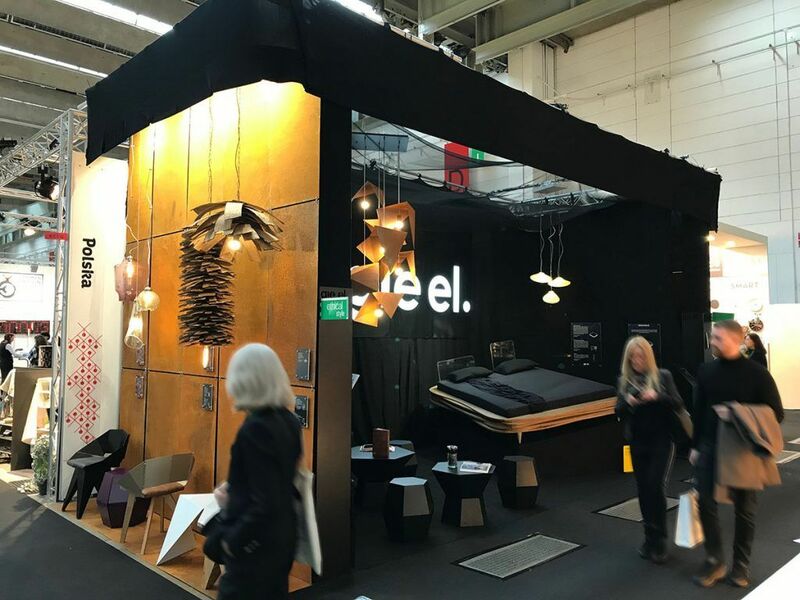 Within 5 days AMBIENTE was visited by 136,000 people from 166 countries. 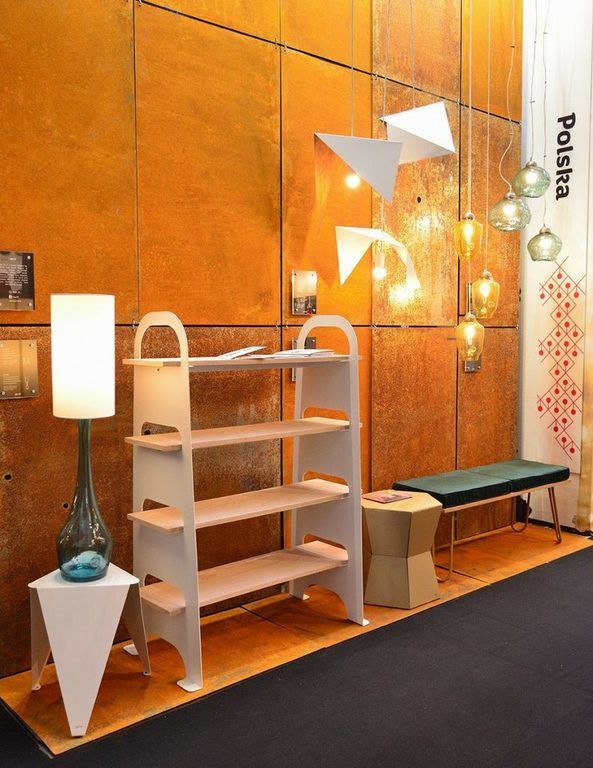 We presented our most recognizable products – BIRD RUST lamps and ORGANIQUE BED. 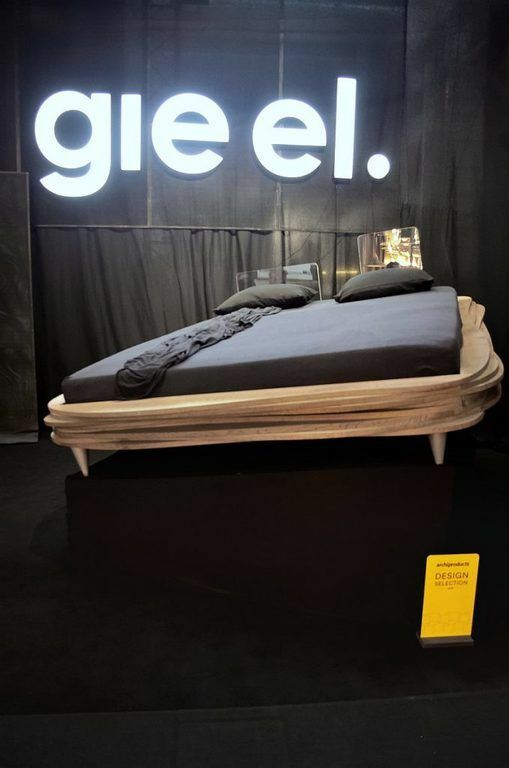 The bed was placed on the platform under a spectacular angle, so all visitors could see perfect craft, natural wood grains and unique shape inspired by nature. Once again our design was appreciated by ARCHIPRODUCTS which is well-known place for architects and interior designers. The BIRD RUST was also very popular, this time we presented a set of 7 lamps. Just on the first day our rusty chandelier was discovered by FUTURE THINKERS – group of students, who were searching for newest trends. 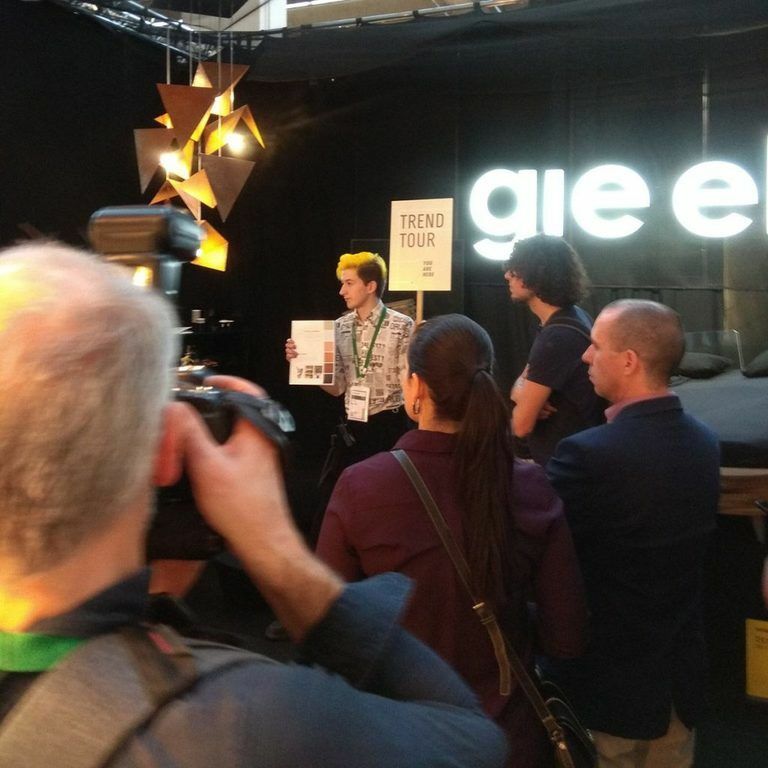 They led tours called TREND TOUR for visitors, where they talked about the most interesting products at the fair. They even talked with Magdalena about process of creating RUST BIRD – check it out here. FUTURE THINKERS loved our product so much, that they placed us in their Top 5 list. Like on the IMM, we showed some new products for the first time at AMBIENTE. This time we showed KNIGHT chair on delicate, wooden legs, HEXA – collection of steel coffee tables and two side-tables RAV and BUDDY. Visitors had the opportunity to try CORGI bench with velvet seating. SCALA also had its own premiere at the fair. The glass-lovers could see hand-crafted pendant lamps: MEDUSE, HORN, BEE, table lamp ANGEL with lampshade and CLOUD chandelier. Wooden pendant lamps SHINGLE made great impression because of the rusty panels, which we hung on the right and left of our booth. 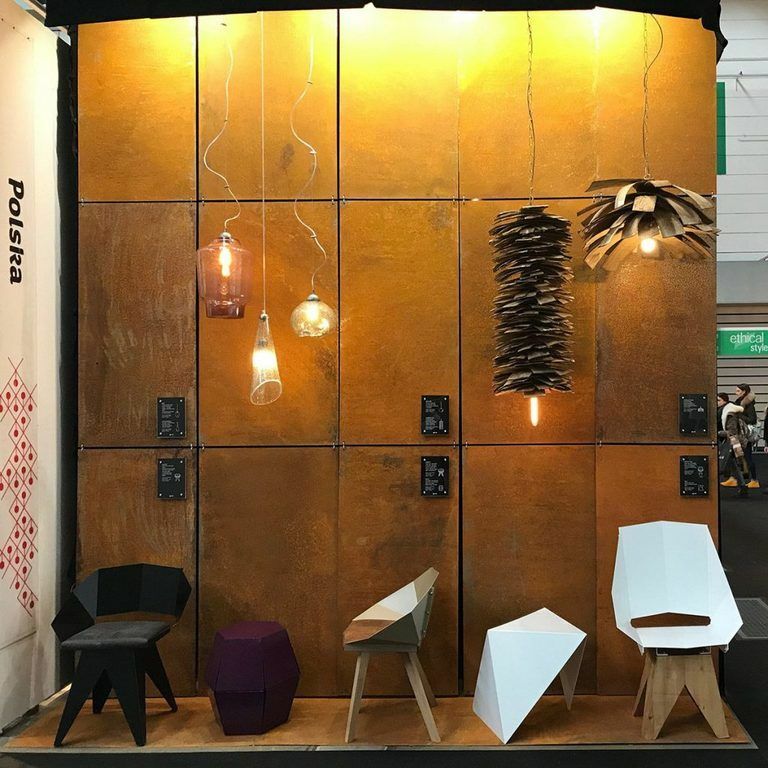 Thank you for visiting us at the AMBIENTE show! We left Frankfurt with great memories but this isn’t end of our World Tour – in September we are going to Dubai, for INDEX. See you!